There is something blissfully relaxing about listening to the breaking waves as you fall asleep and waking up to the sun rising over the surf. Some of my most comfortable night’s sleep have been in my sleeping bag with the sand under me. Sleeping on the beach brings you the closest it is possible to get to nature. 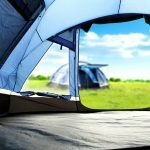 Here are my top tips for beach camping. 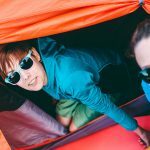 It sounds like an obvious one but before you pitch your tent near the water check, double check and triple check, that you are not going to see your tent swept away at high tide. Check the tide timetable before and familiarise yourself with the water’s reach. Obviously, the camping essentials are required. But there are some other useful tools to help with the sandy conditions. 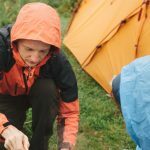 A dustpan and brush are useful for keeping the inside of the tent and around clear from sand. 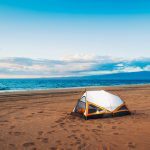 You may also want something to keep your tent staked once the ocean winds pick up. 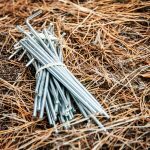 You can buy sand stakes to keep your tent rooted in the loose sand – I like those larger and thicker hard plastic tent pegs because they have a neat little hook to tie your tent cord. Beaches just about always lack shade. The more shade you have for keeping the beers cold, the better. A collapsible shelter is also a great place to sit out and eat or play cards at night. If it does happen to rain, you also have a handy cover to wait out the storm. Although it may be tempting to camp in between the dunes for protection from the wind, I would advise against it. Sand dunes often shift in the conditions and you could return to your tent to find it half submerged in shifting dune sand. 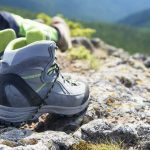 Similarly, sand dunes can also hide rocks and outcrops, which can be dangerous to sleeping campers when they tumble and shift on loose sand. The exposure to the sun and hot Australian temperatures can quickly dehydrate you. Bring plenty of water. Failing this make sure you have plenty of purifying tablets or good water filters before you arrive. Even if you think there is a fresh water source close by, it’s better to be safe. Leave it in the same way you found it. Make sure you keep all your rubbish bags tied down. The higher winds make it easy for rubbish to be swept away into the sea. Put your empty bottles and cans back in your esky and make sure you take them with you. The proximity to a delicate ecosystem like the sea makes it even more important to leave the environment as you found it.